On December 1, 1913, brothers Jim and Harrie Woodson opened the doors of Woodson Lumber Company in Caldwell, Texas. The store sold building materials and hardware to local builders, contractors and non-commercial retail customers. Everyone was welcome in the store, and that is a tradition that has continued for the past 100 years. As the Caldwell location continued to grow into the community, the Woodson brothers made the decision to broaden their reach. They worked together to expand the business and in 1924 they bought a store in Lexington. In 1937, they purchased the lumberyard in Bryan, and in 1938, they acquired the lumberyard in Brenham. In January of 1946, Harrie’s sons-in-law M.G. Perkins and Tom Yager, Jr. came in as the second generation in the family business. On January 1, 1992, the Mexia and Groesbeck yards were opened under the Woodson name. Tom Yager, Jr.’s daughter, Ann Woodson Yager Chapman, began working for Woodson Lumber in 1994, and in July of 1995, the Buffalo location was opened in fulfillment of Tom’s vision for the company as Ann transitioned into the leadership. Both Woodson Lumber and San Antonio Steel Company rely on a family-style culture to propel their businesses to the next level. The partnership between these two dynamic companies makes sense because both have a strong connection with their communities and local organizations. 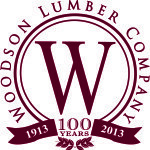 To learn more about Woodson Lumber Company and their impressive history, or to find a location near you, click here.